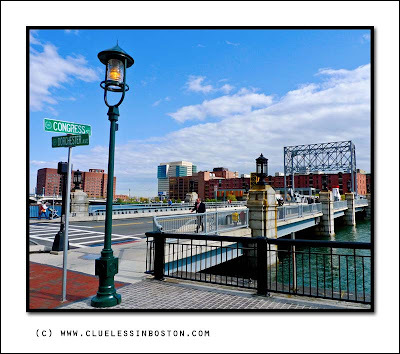 View of the Fort Point Channel Bridge at Dorchester Ave. and Congress Street. Other Skywatch Friday pictures from around the world can be viewed here. An interesting view. So much to see. Beautiful ,crisp sky and city view! I like it how the clouds have left a path way in the middle. Beautiful sky and a lovely scene with the bridge. Beautyful light! and so much colors! And look at the color of that water! Well, the sky is very nice but I like everything beneath it too! Nice image - I like the person walking through it, adds a sense of motion. Great image! Perspective, sky and all! Great view of the cityscape from there, Boston is such a great city it must provide you with lots of photo opportunities. wow. that's as good a photo as you can get.